Cosy, run with a genuine intent to bring people closer to nature and popularise slow fashion. Ravinder Kaur is a patient and knowledgeable natural dyes expert who enjoys running workshops and takes care to take every participant along on the journey. Rang Malang is a zero-waste workspace and creates only as much as is required. Very small-scale, currently only have a home workshop-studio that can be visited by appointment. A brick and mortar presence is pending but is much awaited. 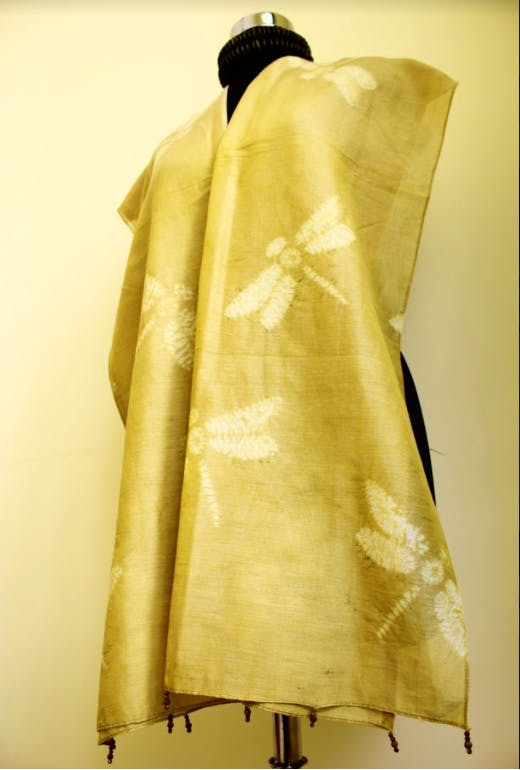 Get in touch via their Facebook page, or through email or phone to pick from a selection of one-of-a-kind scarves, stoles, saris, table runners, cushion covers, and curtains, or running material for bespoke clothing. This is potentially the only space that regularly runs workshops on natural dyeing where the trainer is an expert in her field and covers everything from the basics to the secrets of the craft - she doesn't stint when it comes to knowledge-sharing and truly loves her work. They also provide nifty dye kits which are great for starters and amateur dyers alike and also help you source dye stuff locally.